Update: This post has been updated to download Android 7.0 Nougat for Samsung Galaxy S6 and S6 Edge all variants. 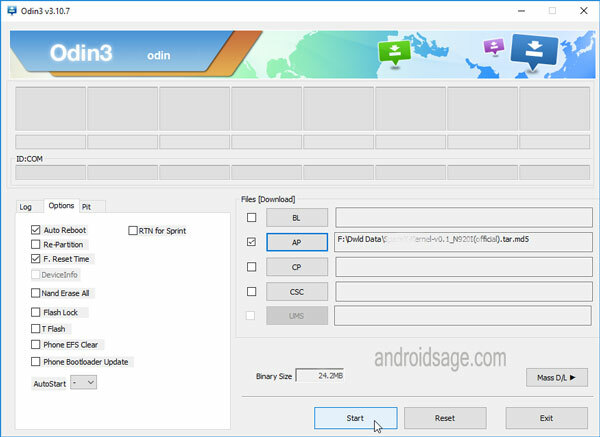 Download Stock Android 7.0 Nougat [Odin Firmware files]. The Korean variants of the Samsung Galaxy S6 and the S6 Edge have been receiving the latest Android 6.0.1 Marshmallow firmware update officially. The firmware comes with the build number G920SKSU3DPAC for the Galaxy S6 SM-G920S variant and G925SKSU3DPAC for the Galaxy S6 Edge SM-G925S variant. Following a brief Beta test, Samsung has now released its first official build for the former flagship phones. Hit the download section below to get the official release for the Galaxy S6 and the S6 Edge devices. The installation procedure is simple. It can be flashed using the usual Odin method used for other firmware. As the updates for the Korean S6 device is available, it’s not long that similar Marshmallow update will be available for other Samsung devices as well. So if you want to grab the OTA updates as soon as they are available, follow this tutorial to restore your Samsung device to stock firmware. The procedure is the same for most of the Samsung devices, provided you have the compatible firmware file. Before you proceed, it is highly recommended that you backup everything from apps, data, media etc. It will perform a clean firmware flash via Odin and get you a brand new ROM.